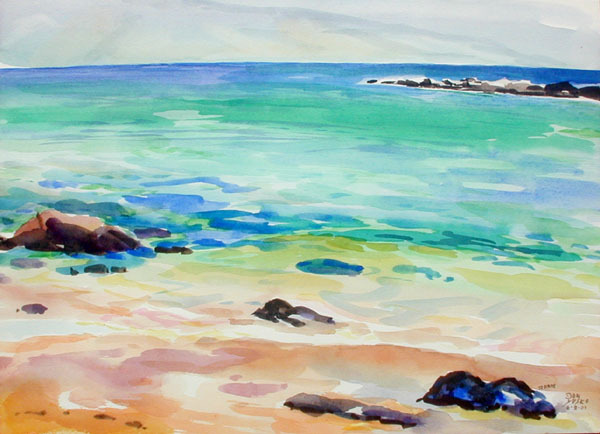 A pleasant 3 hours on the beach at Kapalua Bay with the Maui Watercolor Artists. About that curved horizon line... Go here for the full color course on line. Or on your CD 'Open Me First' opens the sitetree.htm and the 'Full Color Course' is final.htm. Browser, Edit>Find. All instances of the word 'horizon line' for the full story. That's Molokai in the background. Kapalua Bay 2, #904, 07-21-03. Windy as always. 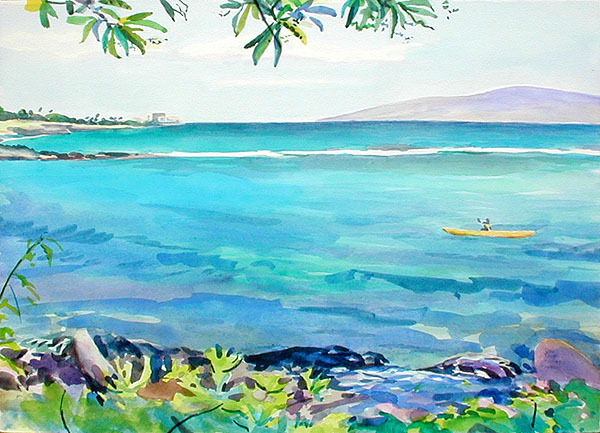 The point of the bay is where the Maui Watercolor Artists met this week, we are working our way North. That's Lanai Island in the background. 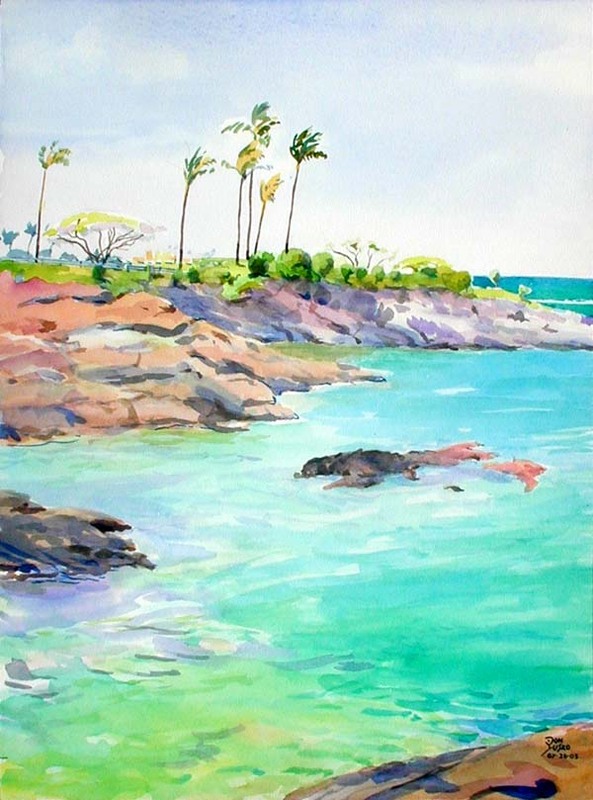 Kapalua Bay 3, #905, 07-28-03. This is the 3rd view of the bay, from the Northern end. Clear weather, clear water and no wind. Not Bad!